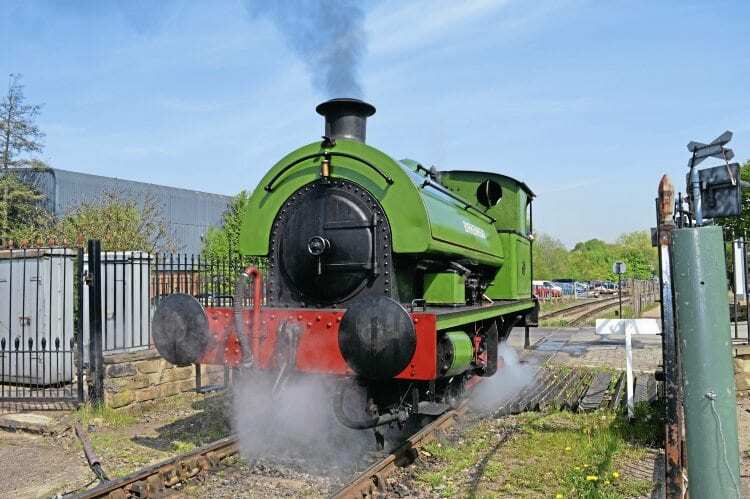 Mark Smithers reports, the only preserved railway in South Yorkshire potentially has an exciting future ahead of it. Birkenhead passes over ‘distillery crossing’ immediately before arriving at the station at Elsecar, on footplate experience duties. The history of the line goes back to the year 1850 when a single-track mineral branch was opened from Elsecar Junction, near Wath, on the Doncaster to Barnsley section of the South Yorkshire Railway (later part of the Great Central), to Elsecar via Cortonwood. The raison d’etre of the branch was to serve several collieries and ironworks owned by the Rockingham family, headed by Earl Fitzwilliam, who had his own private station at Elsecar (not to be confused with Elsecar & Hoyland station on the Penistone to Sheffield route, which survives today as part of the main network). As is well known, the collieries were nationalised on January 1, 1947, with the GCR’s successor, the LNER, following suit during the succeeding year.